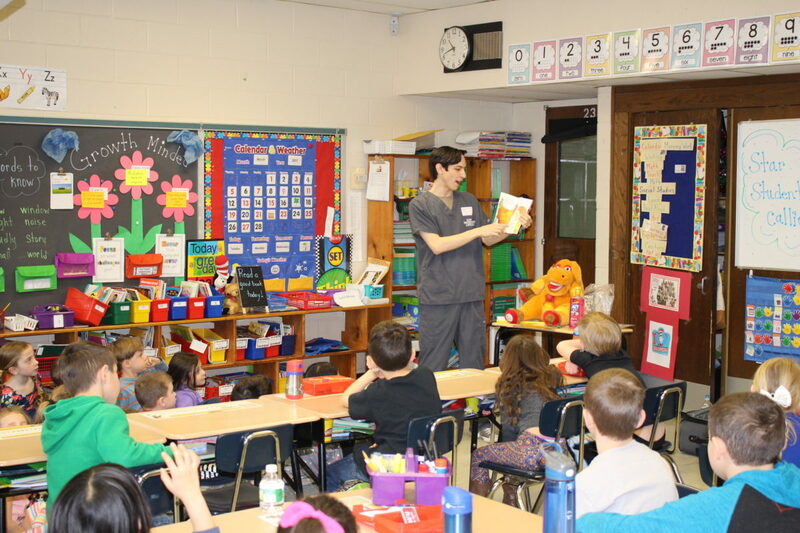 More than 300 Miller Place School District Kindergarten—1st grade students at Andrew Muller Primary School recently learned how to properly care for teeth and gums from local dental hygienists. The interactive lesson was part of the District’s Social Studies and Health education programs. The students listened eagerly as the visiting hygienists read age-appropriate books to the students and used props to demonstrate good oral hygiene. Following the event every student received a dental hygiene kit, including a toothbrush, toothpaste and floss to take home.